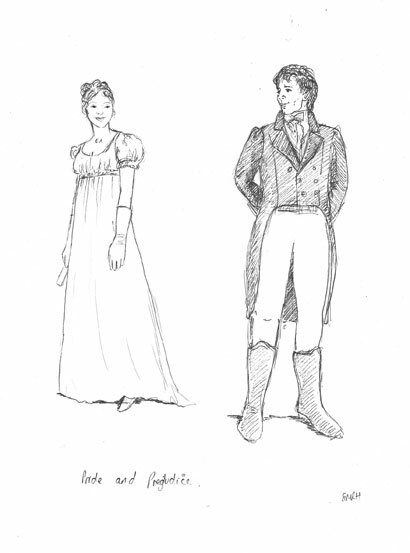 Lizzie and Mr. Darcy. I wanted to make him more handsome but used my pen and couldn't rub it out. Boo hoo. If I had time I would have sketched in a regency background. Irene Fernandez says: Great interpretation of both characters! ~ Reply? Jo McQuillan says: Lovely interpretation of Lizzie and Mr Darcy, have to admit I have a soft spot for the 1990's P & P starring Jennifer Ehle and Colin Firth ;)	~ Reply?